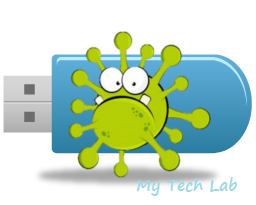 These Shortcut viruses are those which converts all your data inside your pen drive or Hard disk to shortcut file formats. This virus types that converts all your important files into shortcut forms when you need them most are seriously annoying. They act by corrupting all files and folders and renders them inaccessible. But the Good news is those files can be recovered. To remove those shortcut viruses, go to your start menu and type "cmd" and open the command prompt window. Go to the directory of the infected drive by entering this "C:" where C represent the drive letter. Now press ENTER and type the following command: del *.lnk and press Enter. Recover your Corrupted files from Shortcut Virus. In this recovery method, we are going to recover our files through winrar as it is a safer way to do it. so make sure you have winrar application installed and running on your computer. Open your winrar application and navigate your way through to the location on the affected drive where your corrupted folders are. The next action is to copy all those files and folders and paste them to any preferred location on your computer. Now Format the affected drive and you are good to go.